Man, the A's need to turn this thing around! 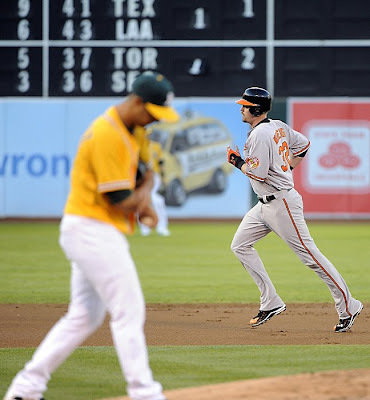 Oakland got beat by the Baltimore Orioles 6-2. 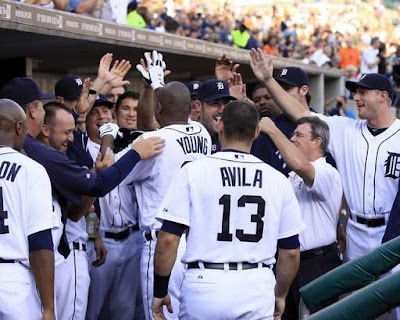 So, a couple of exciting things happened at the Tigers-Twins game on Monday night. Before the game, the Twins traded Delmon Young to Detroit for Class A pitcher Cole Nelson and a player to be named. Second baseman Will Rhymes was sent to Triple-A Toledo to make room on the roster. The Delmon Young acquisition leaves Magglio Ordoñez with a much-reduced role in the Tigers' lineup. Jim Thome hit 2 homers. The first was a 2-run shot off Rick Porcello in the 6th inning. When Thome came to bat in the 7th he cranked a 3-run dinger off Daniel Schlereth. The two homers helped the Twins beat the Tigers 9-6. The two home runs were also numbers 599 and 600 in Thome's impressive career! 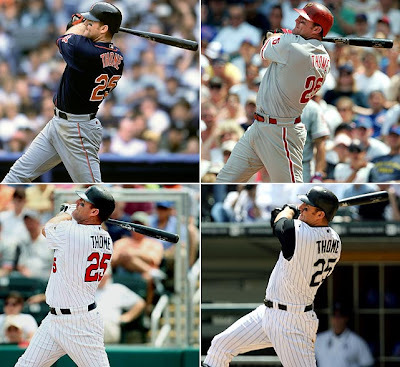 Thome became the 8th major league player to reach 600 'taters...but he's REALLY only the fifth cat to reach the #600 Club - cuz Barry Bonds, A-Rod and Sammy Sosa don't count. Here’s one thing we sort of lost during the Steroid Era: The jolly home run hitter. Remember? Baseball used to be filled with them — gentle giants, country strong men who would swing hard, tromp around the bases, maybe wink to a kid in the crowd as they crossed home plate. Heck, the home run was practically invented by one of those men, by a man-child they called Babe, who promised sick children in hospitals across America that he’d hit home runs for them. ...Well … the Steroid Era screwed all that up, didn’t it? I don’t know how much steroids had to do with the enormous jump in home runs in the 1990s and 2000s — and I suspect neither do you — but we can all count. Cherished numbers: Smashed. Exclusive clubs: Crashed. From 1993-2002, there were six different seasons of 60-plus homers; two of them at 70 or more. Ten different players hit 50 home runs in a season. Forty three different players hit 40. One hundred twelve different players hit 30. 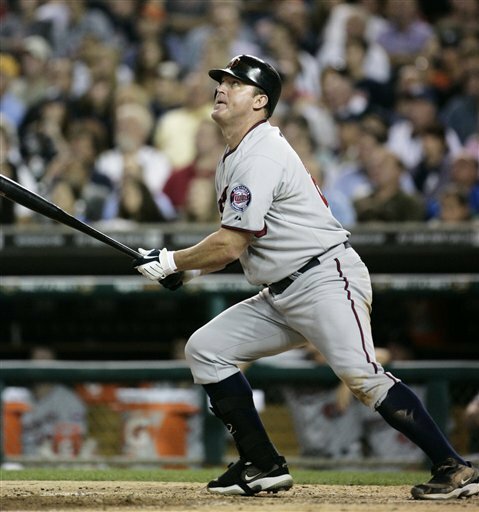 ...I wish Jim Thome had hit his 600th home run back when we all still believed in lovable lugs. The women who grace the Hot Baseball Wife Hall of Fame possess timeless beauty.